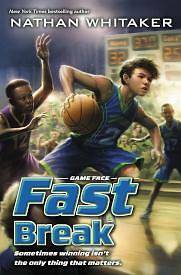 In the second book in Nathan Whitaker s Game Face sports fiction series, Chase is swept into the excitement when his older friend, J.B., is recruited by top basketball coaches around the country. The best part of it all is that Chase s often absent dad is also in town, giving Chase hope they can have the closer relationship he s always wanted and his dad will finally be there to watch him play basketball. Then J.B. is accused of violating recruiting regulations, and Chase s dad suddenly becomes scarce. Chase is left wondering what kind of man his father really is, while working with his best friend, Tripp, to clear J.B. s name."